Regardless of which business you’re in, it is impossible to expand your business without a significant web presence. A great website, with the help of SEO, can help you reach out to millions of people online and expand your business manifold. A website is the first point of contact with your prospective clients or followers, and therefore, SEO is of utmost importance to musicians. Especially in the field of music, it all begins on the Internet, with first a couple of people following your music. Then, a few hundreds and if you’re the real deal, you might be the Justin Beiber genre too! 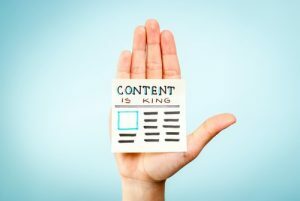 With some good SEO and blogging techniques, you can spread a word about your music and work through simple yet, strategic planning. SEO or Search Engine Optimization is the process of getting your website on the top of the search engine result pages (SERP). It’s a way of setting up your website, in order to match it up, to what people look up for, using specific keywords. You can get in touch with an SEO agency for help, or you can renovate your website yourself. Check these tips out, to understand how you can acquire the knack of SEO for marketing your music or band. In SEO, the easiest technique is to optimize your website for specific keywords your clients or followers are using to look up for your services. So, knowing what people search for, and using the same in your blog, website name, headings and throughout your website, gives it a significant boost by increasing its “visibility”. Also, specifically for musicians, keywords can be the music genre, album name, artist name, or anything specific to music and your band. But remember; don’t just cram your website with the same words over and over again, or your website may end up being penalized by Google. If a platform’s link like that of YouTube’s is listed on your website, which illustrates your work or is a direct link to your music album, then it gives the visitor an extended preview into your work. Posting videos from YouTube and sharing posts from platforms like your Facebook page and WordPress enables visitors to check out your work and also gives Google an insight into your website. These posts are a direct link, with the inclusion of keywords and meta tags, giving you a definite number of higher views. Plus, it allows visitors to share your content using their social media profiles, thereby increasing your website’s reach. The content on your website has to reflect your work, your music, your band, and albums. 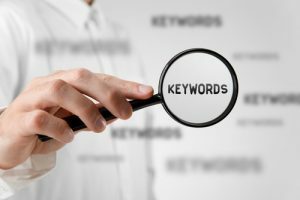 As previously mentioned, keywords are a popular way of bringing in traffic. Other than that, music trends keep changing. From jazz to hip-hop, to blues, music is just like fashion. So, stay updated and keep your website updated with the recent trending music styles and upload content, related to your music forms, which will help you build a community of followers. To make the SEO technique work better and qualitative, and more solid and informative, it’s always best to learn how to add links to reference from other websites. Google also states your website as one of the most authentic, if you include referral websites or any such content. It’s like providing proof of what you have stated. Also, Google favors it because this technique reduces spam! Another technique is to provide the title of your page with SEO keywords and also directing your name in the title with specific tags. When the title or search result suggests the name of the artist, it says “home” next to it. But to increase traffic and engage in SEO, it’s good to describe the form of music next to the name of the artist or the title page name. These are some of the basic SEO tips that a musician can follow to increase traffic on his website and make proper use of social media marketing and the Internet to improve his career status.